I must admit I suffer from something my friends call the “god complex”. Playing with those tiny simulated human beings running around my computer screen is fun because I get to toy with their lives. Now if that isn’t a delusion of grandeur then I don’t know what is. 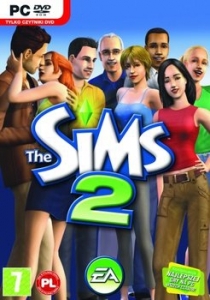 My review today is all about the new Sims 2 expansion pack, Bon Voyage. It didn’t receive as much fanfare as Seasons, but I think Bon Voyage needs a second chance. Some people tend to dismiss it as nothing more than an improved Vacation pack, but that’s not true. I’ve been playing with Bon Voyage for months and it has yet to disappoint. Basically, Bon Voyage lets you go on three choices: Japan, the beach and a camping sort of trip. Anyway, unlike the old Vacation pack, Bon Voyage adds new dimension to the game. It’s not just a new destination. allows your character to experience new things, like becoming a ninja (with stealth powers to boot) and meditation. Plus you can buy a house at the beach and fulfill those dreams of retiring with a beachfront property. a fun touch to an already near-perfect game. Bon Voyage has great graphics (a hallmark of the new SIMS 2) and excellent features. Going to the beach is now as beautiful as real life, and you can really let your Sim’s hair down. It’s more than a vacation.